The Galaxy S8 might be the best phone of 2017, but the year's not over until the next iPhone makes its debut. Here's how Apple can take the crown back from Samsung. If there wasn’t already a mountain of pressure on Apple to deliver something spectacular with this year’s iPhone update, there surely is now. If you haven’t noticed, Samsung has released the Galaxy S8 and S8+, and they’re pretty remarkable. As a former iPhone 7 Plus user, the S8+ might very well be the best phone I’ve ever used, with a stunning screen, speedy processor, and, yes, a gorgeous design. But what makes the S8 so amazing is how unique it is. I got to spend a week with it while writing my review, and I came away stunned. For the first time in a while, Samsung is standing alone on the cutting edge with a phone that needs to be seen to be believed. From its barely there bezels to its brilliant wraparound screen, the Galaxy S8 truly gives Apple a run for its money. No joke, it actually makes the iPhone 7 look pretty stale. The Galaxy S8 has a killer camera but the iPhone 7 is no slouch. The Galaxy S phones has always had a camera on par with the iPhone, so it was a little surprising that Samsung didn’t upgrade the S8’s all that much. The iPhone 7 Plus is already a step ahead here, with 2X optical zoom and the sublime Portrait Mode, but the iPhone 8 could really separate itself from the S8 by taking it even further. Along with a megapixel bump, Apple could add optical image stabilization to the second lens, which will go a long way toward increasing photo and zoom quality. But what would really set it apart would be a sharper sensor and greater ISO range to make it a low-light leader. The Gear VR is a big part of the S8, but AR could be the iPhone 8’s big play. While Samsung is going all-in on virtual reality with the Galaxy Gear and the S8, rumors suggest that Apple is more interested in augmented reality. And that could be one of the features that sets the iPhone 8 apart. Smartphones have been slow to incorporate AR into the interface, but if Pokémon Go has taught us anything, it’s that people are way more interested in seeing the world through their screens than strapping a headset to their faces. An AR-fueled iPhone 8 could connect us to the world in fun new ways without separating us from reality. The Galaxy S8’s fingerprint sensor is just in the worst place. While the Galaxy S8 is one of the best smartphones ever made, one tragic flaw prevented it from being perfect: the placement of the fingerprint sensor. For some god-awful reason, Samsung put it right next to the camera, all but ensuring your finger will not only miss it, but also repeatedly smudge the lens. If the rumors are correct that Apple will also be removing the home button in the iPhone 8, it has two options: under the screen or on the back. A first-of-its-kind in-panel sensor would be revolutionary, but if it’s on the back, Apple needs to learn from Samsung’s mistake and put it lower, like on the Pixel. Bixby hasn’t exactly exploded out of the gate, but it does a lot that Siri doesn’t do. When Samsung unveiled the S8, a major part of the presentation was spent introducing its new AI assistant, Bixby. However, the new service wasn’t just a competitor to Siri, Alexa, and Google Assistant. Samsung integrated Bixby deep into the interface to let it access apps, fetch information, and cut down on how often we need to touch our phones. It’s a cool idea, except the only problem is it doesn’t really work. If Apple could do something similar with Siri and expand its reach to work inside apps while we’re using them, it could beat Bixby at its own game. The Galaxy S8’s screen is pretty, but It also uses its software to accentuate it. One of the biggest gripes people have had about Samsung’s phones has always been its TouchWiz interface. But that’s changed with the S8, as Samsung has crafted an intuitive, refined system that takes full advantage of its superb hardware. If Apple is going to release a radically redesigned iPhone with curved edges and a wraparound screen, the same old iOS isn’t going to do it justice. It might be time to rethink iOS for modern times and give it more than new features and a fresh coat of pixels. 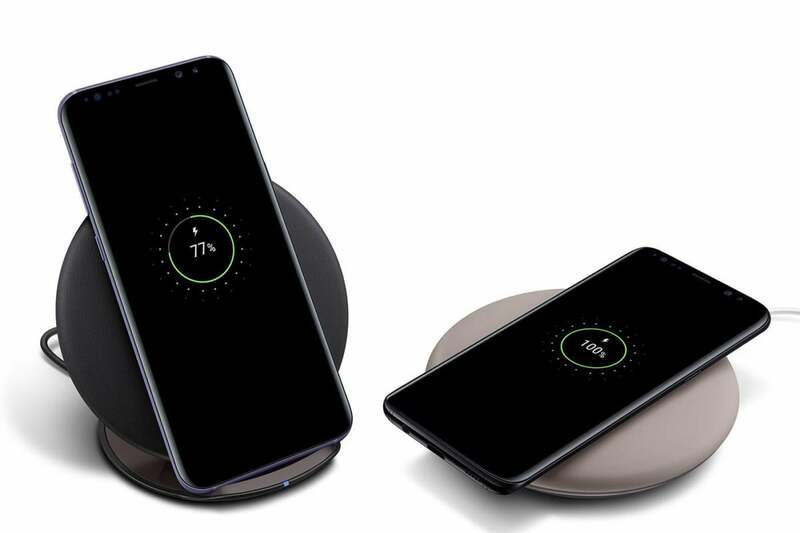 Samsung’s wireless charging supports Qi and PMA standards, and the pad stands up or lies flat. But it’s not long range wireless. While Samsung has had wireless charging in the Galaxy S since the S6, Apple has been slow to adopt it for the iPhone. All signs indicate that’s going to change for the iPhone 8, but if Apple wants to top the Galaxy S8 and not just keep pace, it’s going to need something a little more exciting than a pretty charging pad. One of the rumors we’ve read suggests that Apple could adopt true long-range wireless charging for the next iPhone, which would power up the battery whenever you’re within range of the charger, even if it’s in your pocket. That alone would be an S8 killer. The Galaxy S8 includes a pretty great pair of earbuds. Samsung didn’t just resist the trend to ditch the headphone jack on S8, it embraced the 3.5mm jack in a big way. Inside the S8 box is a pair of premium AKG-tuned earbuds that are a few steps above the usual build and sound quality you get for free—certainly better than what Apple gives us. But if Apple really wants to embrace the wireless future of the iPhone, it needs to stop including a wired set of EarPods, even if they are Lightning. A pair of AirPods in the box (or a cheaper Beats alternative) would really set it apart from the 3.5mm S8 and make a strong statement. 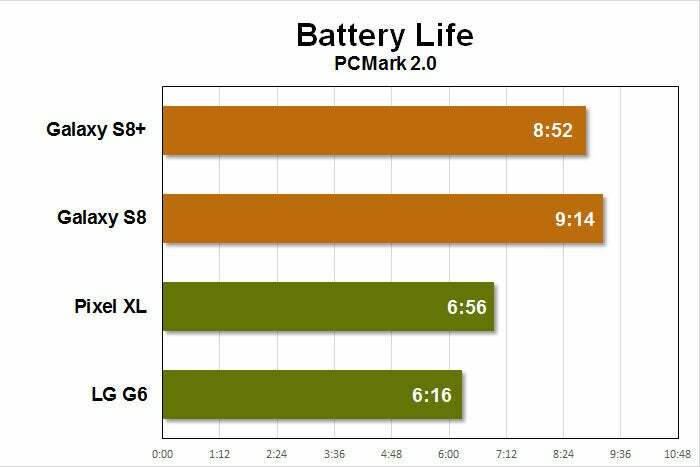 The battery life on the S8 is really good, but the iPhone 8’s could be even better. Samsung has had its share of battery issues, but the S8 looks to put them in the past with a long-lasting battery that hopefully won’t blow up. But while it can get through the whole day for the most part, the S8 didn’t deliver the the real breakthrough we were hoping for. We’re still waiting for a phone that lets us completely forget about the battery until our day is over, and we’d love to see the iPhone 8 deliver something in the range of 12 hours and truly change the game. This story, "8 ways the iPhone 8 can beat the Galaxy S8" was originally published by Macworld.